These are videos of Bush doing his weird trips. Bush goes bowling with a turkey and Coca-Cola bottles. 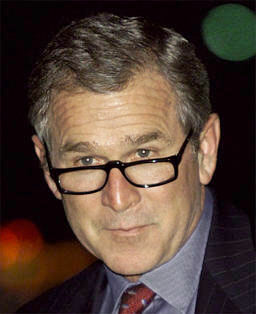 Bush cleans his eyeglasses on unsuspecting woman’s shirt. Bush freaks German Chancellor Merkel with univited shoulder massage at the G-8 summit. State of the Union Address after computer enhancement with a truth processing algorithm. Invigorating America’s youth. Dave Letterman.